The Evo Peace is complemented by the Wilderness Barn, which brings real wilderness feeling alive! In the roof of this up to 100-person event space, disco balloons are not flickering, but the old-fashioned electric lights create a moody, twilight light. The barn has already hosted, for example, the Viking-theme rock event of header image in autumn 2018. Wilderness Barn is located on the edge of Evo Peace’s yard, right on the edge of the forest. It is suitable for party events, festivities and seminars, and of course for the most diverse parties! The log-made yard-shed, modified for event use, will be equipped with bench and table seats for at least 75 people. Benches and tables can be removed if necessary, allowing a floor space of up to 100 people. There will also be solid benches on the walls. There will be a stage at the other end of the room, which is suitable for a festive podium or as a stage for a rocking band of the parties! 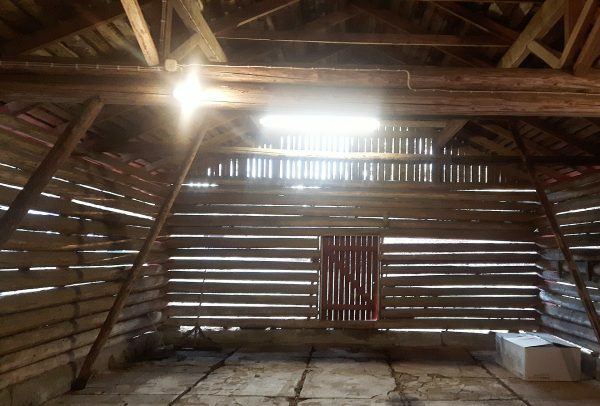 The Wilderness Barn is neither heat insulated nor heated, so it is primarily intended for the warm season. Of course, room can also be used for a variety of winter events.